Lovely anthemic melodic business on this innocuous hand-stamped three tracker out of Koln. 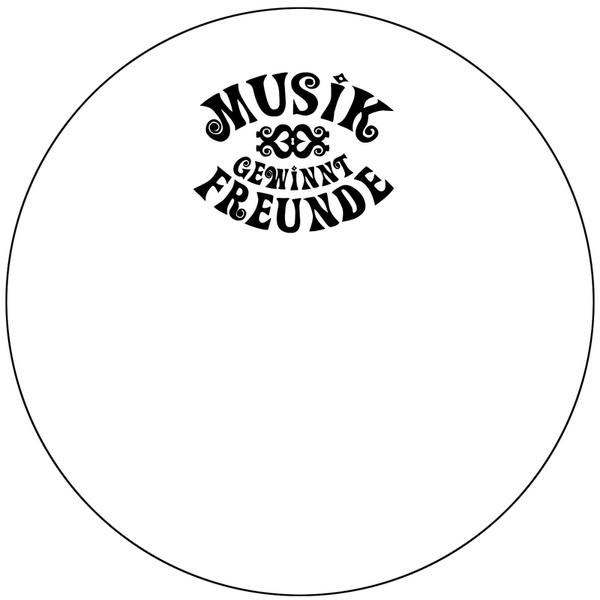 The Musik Gewinnt Freunde touchingly claim to be “music lovers living inconspicuously among us”, and their aim in disregarding titles, fancy packaging and bulk pressings is to keep the special nature of this twelve, well…special. Palpable thudding fourfours, posh trance strings, topped with roving harps - the only thing it may lack is a celestial choir. All three tunes are sharp, honed no- nonsense floor-ready anthems .